I haven’t really talked all that much about meeting deadlines. Today, I would like to change that. I won’t say I remember it like it was yesterday. It was definitely not yesterday. But, I do remember it very clearly. I started writing it in May. It does not seem like that long. Anyway, back to deadlines. It’s hard to meet the deadlines sometimes. I can’t believe I have actually made myself a deadline to get my book edited by a professional. There is one problem to meeting this deadline. Distractions. Those gosh darn distractions seem to get the better of me a lot. I try not to get distracted, but well, it happens. I really must start turning off social media so I can’t get on for a while. That’s the biggest problem (then again, I also just got distracted trying to figure that out. Hmm…). Distractions. They’re a huge problem. I’m telling you. It’s taking me forever to write this post because my mind is everywhere else. Ugh. Okay, I really just need to turn my phone off. That’s being a big distraction right now. 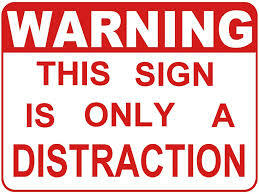 I’m telling you, distractions are all over the place. It’s so hard to meet deadlines because of it. But, if you can meet your deadline, you’re that much stronger because of it. So, are you ready to turn everything off? Get to it, then! Go get your work done.